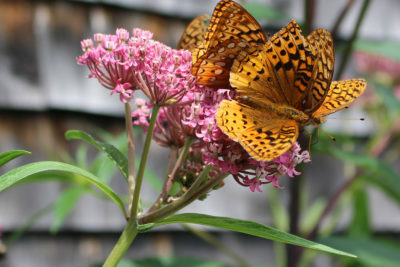 Swamp milkweed (Asclepias incarnata) is an excellent native plant choice for your backyard garden. It is a “well-behaved” perennial, unlike it’s cousin, common milkweed, (Asclepias syriaca), which enjoys running rampant underground and popping up in random places far from where it was planted. In the wild, swamp milkweed grows in wet meadows, marshes and along the shores of lakes and streams throughout the Northeast. Although a wetland plant, in the home garden it tolerates moist to moderately dry conditions in sun/part sun (though not dry, sandy soil). It reaches three feet tall in July, topped with light pink, fragrant blossoms that attract many pollinators, including butterflies, bees, and hummingbirds. All milkweed species provide a much-needed food source for Monarch caterpillars and butterflies. Swamp milkweed is lovely in the perennial border planted alongside other plants that tolerate sun/part shade, including New England aster, tall American bell flower, three-lobed coneflower, blue vervain, wild iris, and boneset. It also makes a great addition to the edge of a pond or stream, or in a rain garden (See A Rain Garden at Your Downspout ). Although summer aphids may pay a visit (they need to eat, too! ), the plant tolerates them without much damage. The last benefit to mention is that swamp milkweed is deer resistant, which merely means it is not a preferred food (akin to cooked spinach for deer!). With its value to wildlife, attractive habit, and deer resistance, swamp milkweed is indeed a super-plant and a great addition to your home garden. Swamp milkweed is easy to grow from seed. To grow your own swamp milkweed, plant seeds in a pot outdoors in the fall, winter or early spring. 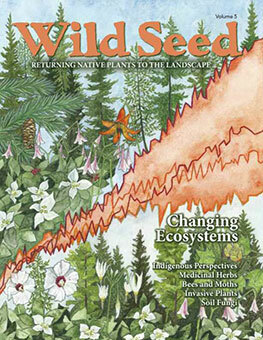 The wet, cold conditions mimic wild seed propagation in nature and the seeds will germinate in mid spring. 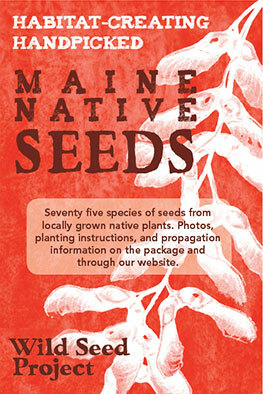 To learn more about growing and sowing the seeds of native milkweeds, read MONARCHS AND MILKWEED: Creating a Landscape in Maine to Support Monarch Butterflies and Other Pollinating Insects. 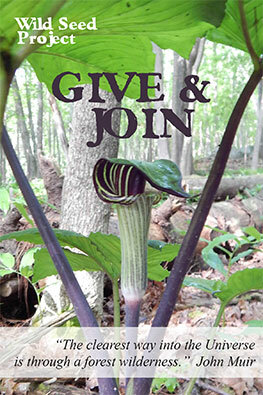 To purchase Swamp Milkweed seeds, visit our shop. The genus, Asclepias, is named for the Greek god of medicine, which attests to milkweed’s numerous medicinal properties that include diuretic, emetic, parasitic, digestive aid, rheumatism, and conditions of the lungs. Asclepias incarnata is toxic to humans and animals when ingested in large amounts. It strengthens the heart in the same way as the highly toxic digitalis – and like some other medicinal plants, not an herbal remedy for the lay person (always consult an experienced professional before consuming herbal medicine). The species, incarnata, refers to the flesh color of the blooms.